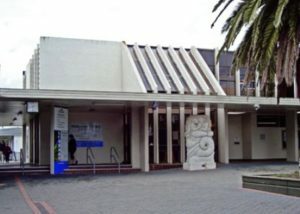 The Kāpiti Coast Council says the Waikanae Library will be closed ‘for the foreseeable future’ as the toxic mould is more widespread than first thought. Regulatory Manager Natasha Tod says air quality testing was carried out to assess whether leaks and water damage in the library building posed a risk to the health and safety of staff and customers. Ms Tod adds: “Waikanae Library customers are encouraged to use our libraries and services centres in Paraparaumu and Ōtaki or access services online atwww.kapiticoast.govt.nz. “We’re currently looking at alternative ways to provide services in Waikanae and are focused on getting them up and running as quickly as possible. “If customers have any concerns, questions or feedback, please don’t hesitate to contact us on 0800 486 486.